Nov. 21, 2017, 9:07 PM GMT / Updated Nov. 14, 2018, 8:23 PM GMT / Source: Eat This, Not That! So the big day’s coming up fast but let’s face it, hosting Thanksgiving is no easy feat. Beyond the ruckus involved in preparing a delicious dinner for one too many guests, food safety should be the top priority. After all, loved ones should be sent home with leftover pumpkin pie — not food poisoning. That’s why the researchers at Eat This, Not That! 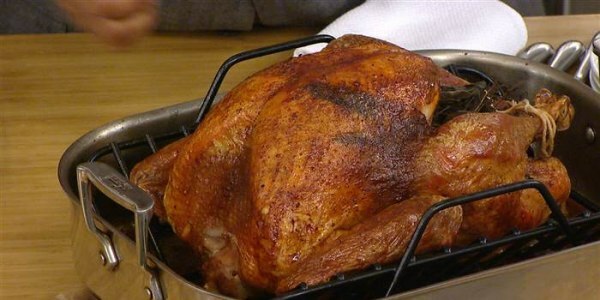 compiled a few must-follow tips for how to thaw a frozen turkey: a process that, if done incorrectly, has the potential to bring a ton of illness-causing bacteria to the holiday table. While there are a few different ways to thaw a bird, nearly all of them require starting the process a few days prior to Turkey Day — so the time is now, don't delay! Here’s how. 1. Thaw it in the fridge. Don't thaw a turkey on the counter where it can become a nesting area for nasty bacteria — or your cat’s midnight snack. Instead, use the fridge. But before it's popped in there, lay it on a rimmed tray, which will catch any leaks. 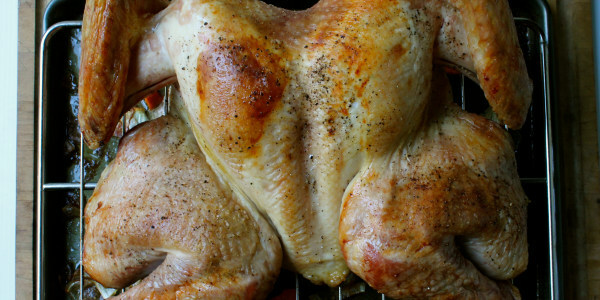 Place it breast side up (the plumpest area in between the wings) and wrap it tightly with palstic wrap. 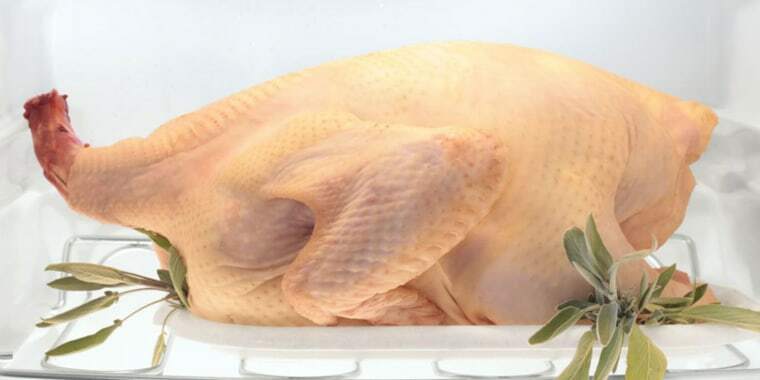 When thawing a turkey in the refrigerator, allow 24 hours of defrosting time for every 4 to 5 pounds of bird, according to the Department of Agriculture. So if the turkey weighs 4 to 12 pounds, plan for it to defrost in the fridge for one to three days. If it’s 12 to 16 pounds, make sure it's placed in the fridge three to four days before the holiday arrives. 2. Wrap the turkey when thawing it in cold water. If the plan is to thaw the bird in cold water, make sure it’s in a leak-proof plastic bag before it is submerged. This will prevent any cross-contamination and ensure that the bird won’t absorb any extra water during the thawing process. Then, fill a bowl that’s big enough to fit the bird with cold tap water. Submerge the wrapped turkey in it and change the water every half hour. Changing the water will help to ward off any contaminating bacteria. Allow 30 minutes of thawing time for each pound of turkey, which translates to two to six hours for a 4- to 12-pound turkey. A 12- to 15-pound bird will thaw in six to eight hours. Still having trouble determining the thaw time of the turkey? Check out Butterball’s thawing calculator — which allows people to choose either the refrigerator or cold-water method. 3. Consider thawing the turkey using a microwave. Before deciding to thaw the Thanksgiving centerpiece in the good ol’ microwave, make sure it actually fits in there ... with some extra space to spin. If the bird is small enough, pop it in sans wrapping on a microwave-safe dish. Push the defrost button, punch in the weight of the bird and let the microwave work its magic. If the microwave happens to lack a defrost function, determine how long the bird needs to stay in there based on its weight. Six minutes per pound is a good rule of thumb. Since microwaves tend to heat things unevenly, make sure to rotate and flip the meat throughout the thawing process. 4. Always confirm that the bird has thawed completely. To be sure the bird is totally defrosted, reach one hand into the hollow part and check for ice crystals. Then, using a fork, poke the thick parts of the bird and make sure they're no longer hard or icy. If they are, the turkey definitely needs more time to thaw. 5. Don't wait! Cook the turkey right away. After it’s thawed, the turkey must be cooked immediately. That's because once the bird is defrosted, bacteria that were present before it was fully frozen can begin to regrow, according to the USDA. And that’s bad news for anyone planning to hit the malls the next day for some Black Friday bargains. Those invisible bugs could make people horribly sick! If you overestimated the amount of time the turkey needed to defrost and it’s good to go a few days before T-Day, it’s safe to store the bird in the fridge — just don’t keep it in there for more than two days. For more delicious ideas, check out these delicious turkey recipes — and don’t miss 30 Things To Make With Leftover Turkey! Every Classic Thanksgiving Dish — Ranked!